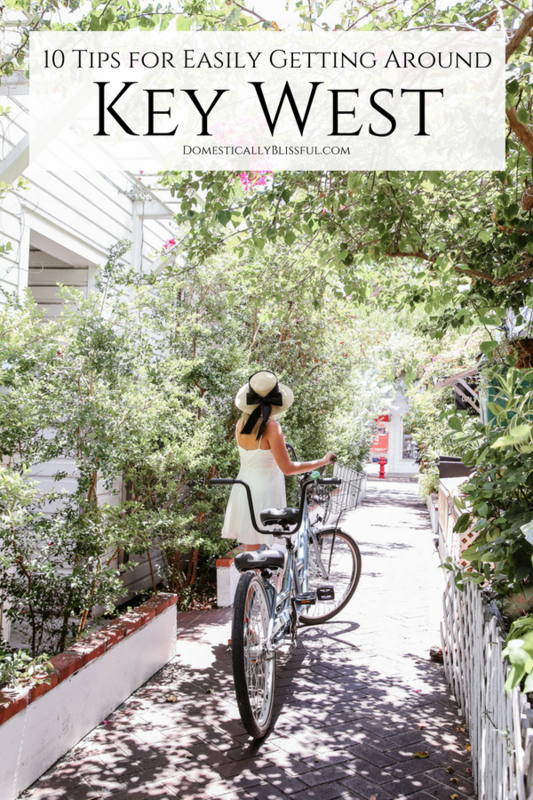 10 tips on how to get around Key West to make your Florida Keys adventure even more fun, relaxing, & memorable! Plus how to ride the Key West bus for FREE!!! 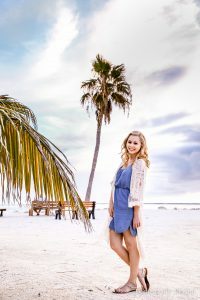 I had originally planned a different Key West blog post for this weekend, but as we explored Key West I decided to save it for our next trip & instead share some awesome Key West tips to help you get around the island. As with any city, there are countless ways to get around & sightsee & Key West is no different. From paid to free you can easily get around Key West without breaking a sweat! Anyways! Let’s dive right into these 10 Key West tips to help you get around this Florida Key’s island on your next trip! I know this isn’t technically about getting around Key West, but it is something I thought should be noted first as it is a HUGE time saver. Roger & I have spent more hours than we can count driving down to the Florida Keys on & for family vacations. We’ve even flown into Fort Lauderdale & then driven down to the Keys with a rental on more than one occasion. But no more! If the price is right (or at least a little comparable), & we aren’t already planning on traveling with family, we will be choosing Key West as our flight destination as it is much closer to Key West (duh) & our go to Florida Key’s Island, Marathon. The trip was just long enough for one movie each way, well, depending on the length of the movie. Roger & I have both been on family vacations that involved driving from Tennessee to Key West. And the long drive aside, finding parking in Key West can be a bit difficult. So if you can, I definitely recommend you avoid driving in Key West. Plus some hotels charge for parking so you can save yourself some extra money by not driving! If you are flying into Key West you can either call a cab or use Uber to get to your resort. If you’ve never used Uber before click here to get $5 off your first trip. This is my beyond favorite tip!! You’d be surprised how many people do not know or do not take advantage of the FREE Duval Bus! As I was researching our trip I came across a trip advisor tip about the free bus & the loop it does around the island & couldn’t believe how lucky I was to have just happened upon that tip. When I told Roger about it he didn’t believe me. But it’s totally true! I can’t even count how many times we used it during our stay. The best part, outside of the whole being FREE, is that you can track the two buses that go around the loop so that you know exactly when you need to be at one of their many designated dropoff/pickup spots. Biking is a really fun way to get around the island. Most hotels rent bikes, some bike rental shops let you keep the bike for 24 hours so you could potentially use it on two different days (evening & morning), & some bike rental shops will even deliver the bike right to your resort! I love tandem biking so Saturday night Roger went online & found a company from which we rented a bike online. The next morning I called to ask when in our delivery time they thought they would be dropping off the bike & I was surprised to find out that they had already dropped it off (an hour+ early!). We had been wanting to go to Fort Zachary Taylor but knew it was way too hot to walk & we didn’t want to call a cab/uber just to go down the road, plus the Duval bus does not get close enough. But with a bike, we were able to get there in less than ten minutes. Plus pedestrians get into the park for a lower rate than cars! Walking is by far the option most people take & is, of course, great for ensuring you don’t miss a beat as it allows you to pop in & out of shops. Just don’t forget how hot it is! I so badly wish I had thought to check my list 20 Things to Buy Before Your Disney Vacation as many of the items would have overlapped for this trip, especially the mini fans! This is a MAJOR MUST HAVE for your Florida Keys trip. Right before we drove to ATL (I went to work with Roger to save time) I realized I didn’t bring good walking shoes so I stopped by TJMaxx & picked up a new pair of sandals that have incredible support. They definitely saved my feet as we did a lot of walking & biking during our stay. Here is one of my favorite pairs that I have worn for years. We didn’t travel by scooter or golf cart, but we saw quite a few couples zoom by on scooters & families cruise by on golf carts. I even overheard that some resorts rent out golf carts to their guests! We also didn’t get a chance to take a jet ski or boat, but you could definitely rent jet skies or travel by boat. And boy what a good view you would get of the whole island! There are all sorts of places to rent water equipment while in Key West. The easiest way to rent them would be through your resort another option is to research rental companies online & look for the one with the best rates, reviews, rules/guidelines, & availability. I thought it would be prudent to share one tip about staying safe at night in Key West. Although I regularly saw cop cars driving down Duval Street at night, there are some shady people wandering the main streets & side streets. If you are a solo female traveler, traveling for the first time, or just prefer to stay safe, there are apps & phone features (I know of one on the iPhone) that can make you safer & send emergency help if you need it at the push of a button (or simply by letting go of the button on the app). If you are someone who likes to play it safe I highly recommend researching the options available on your phone & through different apps. On a funny side note, when I traveled solo in college my mom bought me a bright pink pepper spray that she basically required I keep on me. I carried it everywhere on my keys & didn’t remove it until I caught one of my little nephews playing with my keys. I almost had a heart attack as I saw him looking into as he went to push the button. Luckily, I got to him before that happened, but that was the end of that. I’m so glad technology has brought on new safety techniques for solo travelers. Roger & I have never been into the party scene. We’ve been together since high school & being old souls we love retiring early. If you are in Key West with your family, especially little ones, not staying out too late is a great way to avoid the roughest/rowdiest of crowds, because naturally the later it is the crazier people can get. I saw so many tourist buses while in Key West. You really will have a plethora to choose from & they may be hard to narrow down. I read about one bus before our trip that said you could buy a ticket & then hop on & off it throughout the day. This sounded awesome until I found out about the free bus, but to be honest, I have no idea what the route is of that bus, it could be more vast than the free one. If you want a guided tour of the city I highly recommend you do your research in order to find one that best fits your personality & level of comfort, especially as many are open air & not air conditioned. You can see our whole Key West trip, along with more tips (including our favorite eats), by watching our Key West Adventures on YouTube! 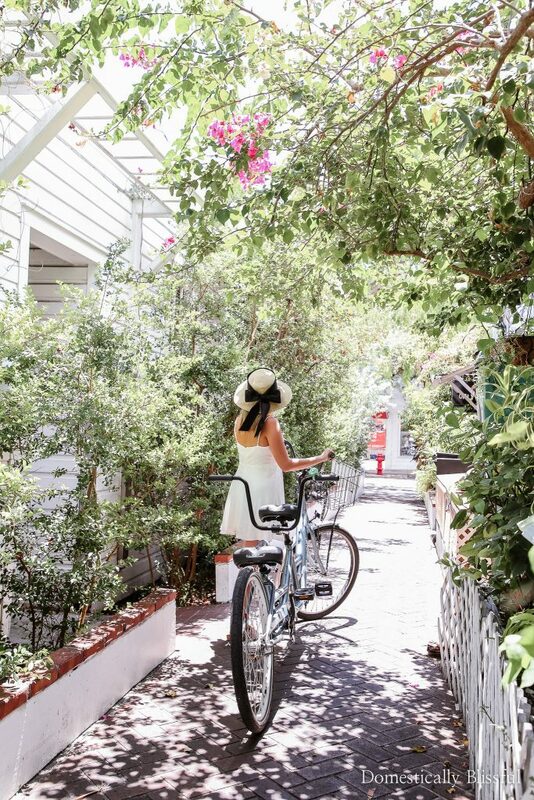 What is your favorite way to get around Key West?